Warrior Xtreme Cagefighting is proud to return to Crystal Gardens in Southgate, MI for our second ever Warrior Wednesday! This special weekday show will have five professional MMA bouts along with amateur fights for the prelims. 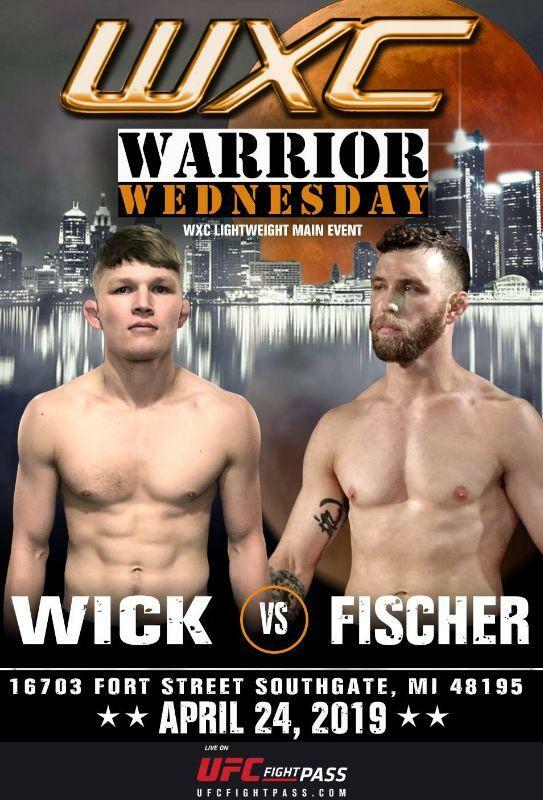 Our main event is a 155 showdown as Jason 'The Finisher' Fischer squares off with Josh 'The White Mamba' Wick. Our co-main event will feature Darius Estell vs Edward Thommes. Warrior Wednesday II will be on Wednesday April 24th, 2019 from Crystal Gardens in Southgate, MI. Doors open at 5pm with the action starting at 6pm, so please join us for another night of high-flying MMA action, WXC style!